Has Your Roof Experienced Storm, Hail, or Water Damage? Call now for a free emergency inspection, fast repair, and assistance with your insurance claim! Any Roof $5,000 or More! 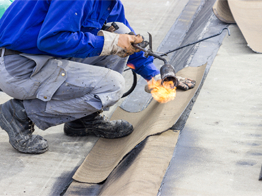 If you're in need of a qualified roofing company in Omaha, you've come to the right place! Universal Roofing is the most trusted roofing and construction company in Omaha, Nebraska. Our goal is to exceed customer expectations on every roofing job we undertake, from new installations to extensive roofing repair jobs. At Universal Roofing, we don't skimp on parts or workmanship. We pride ourselves on delivering superior products and services at rates that are more than competitive for the entire Omaha, Nebraska area. We strive to offer our customers the best services for their unique project. 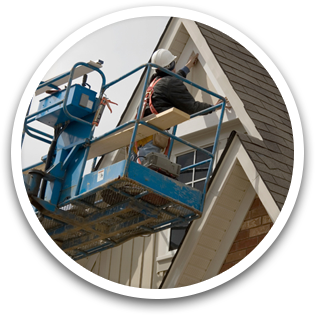 We deliver solutions to property owners who are searching for a new roof, flat roof or roof repair. Our company is focused on quickly responding to any emergency repair needs. If you are searching for Omaha's best price for a residential or commercial roofing installation, make sure you call our team. We have the crew and equipment to handle any size of project. The Universal Roofing team is ready to inspect your residential or commercial roof prior to cold weather setting in. Issues with ice dams, leaks and energy loss are intensified as winter approaches and the potential of snow arrives. Call Universal Roofing today for Omaha's top installation and repair services. Our brands for roofing include: Certainteed, GAF, Owens Corning, Firestone, Decra, DaVinci, and Carlisl. For siding our brands include: Certainteed, Revere, and Mastic. Contact us today for all of your residential and commercial roofing needs. There's no job too big for our team!